New to cooking with greens and just looking for a simple way to prepare them? 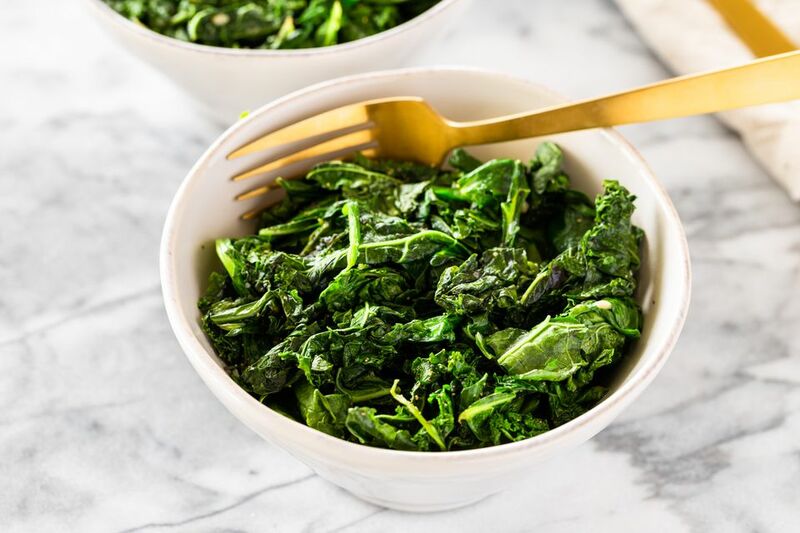 Our favorite way is to just lightly sauté greens with a bit of garlic and scallions or shallots in olive oil with a sprinkle of sea salt and pepper or a touch of hot sauce. This recipe calls for either kale or chard and a bunch of spinach as well. Vegetarian, vegan, and gluten-free, it's super nutritious and super delicious! Add baked or fried tofu, and you've got yourself a simple vegetable stir-fry to accompany quinoa, rice or any other grain or grain mix. If you're not eating vegan, grate a little cheese right on top; try fresh Parmesan or a goat gouda. Before you start, make sure your greens are prepared and ready to go. Give them a good rinse and let them dry. Kale and chard need to be removed from the thickest part of the stem, but the thinner softer stems are fine to leave on. Give them a coarse chop into chunks a bit bigger than bite-sized. Greens will cook down and reduce in size. Once your greens are prepared, heat the garlic in olive oil for about a minute. Then add the onions or shallot and heat for another minute or two. Add kale or chard and heat until just barely tender - about 6 to 8 minute for kale, and a little less for the chard. Add the spinach and cook just until wilted but still bright green - about 1 to 2 minutes.